Are you a perfectionist like me? (Hey, I’m a Virgo, what can I say.) Well, I ran across this excellent infographic from “my clever agency” (don’t you love that name?) 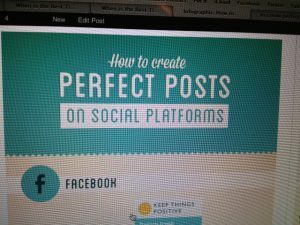 that tells us how to create a perfect social media post. Thanks to Mark Ragan at PR Daily for drawing my attention to it. I thought it was really terrific and would be worthwhile for my readers. Love this Graphic! You know I never thought about the length of a link being influential, but that makes sense! 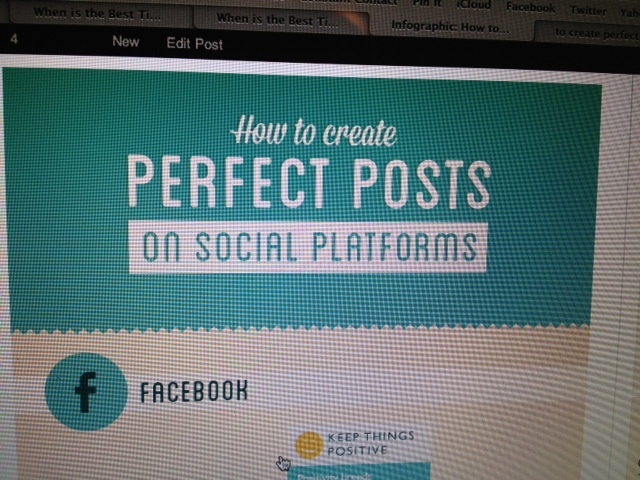 The Pinterest facts are fun/interesting too! Guess I will be pinning more RED! Sarah it does make sense because we’re all link and click-a-phobic!